Center Bolt Head Lengtheners Add Additional Height To The Center Bolt Head When Using Axle Caster Shims (Tapered Shims) On Your Leaf Spring Applications. 3/8" 7/16" And 1/2" ID Center Bolt Lengthener Sleeves Available. Recommended To Use With NEW LEAF SPRING CENTER BOLTS. 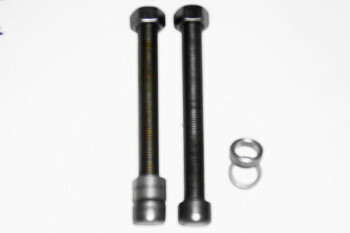 Center Bolt Head Lengthener - (2) Pcs.